i defiantly want one i already have 4 400oz motors and just ordered a 1.5 kw spindle this would be great for my electronics. Yep that ticks the boxes for my needs. 0-10vdc for the VFD here, extra relay options also good. Great news on the advanced spindle config ! I like the change as well as I'm currently evaluating whether to go 48v or DWP611. I'm holding off on finishing my stand so I can factor in the X-controller for the design. Can we get dimensions or a drawing? @RyanPowell We hope to have the product page up within 1-2 weeks It will allow you to sign up to be notified when the product is ready for order and will have additional data. Hopefully the source files will be available on GrabCAD at the same time. 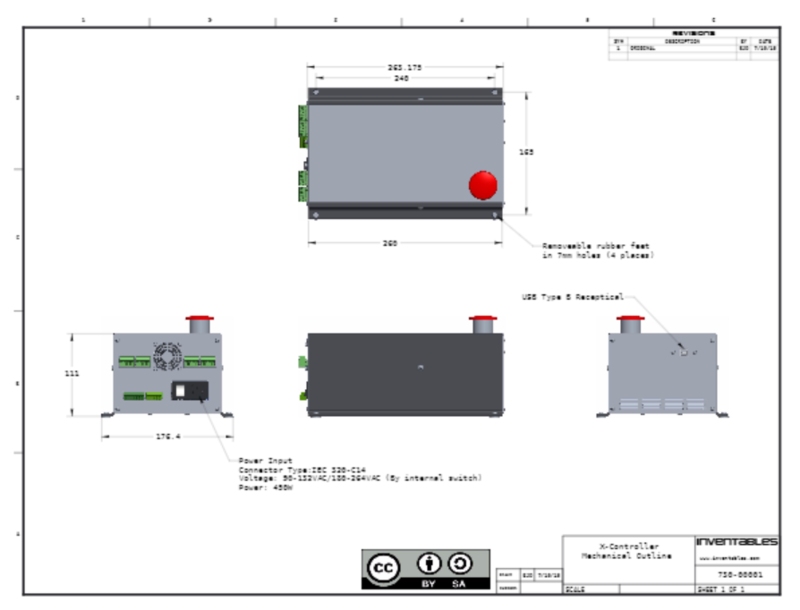 Here is a link to a Mechanical Outline for the X-Controller in GrabCAD. More files will be uploaded to GrabCAD as we get closer to selling this. there is something available about the approximately cost of the x-controller? 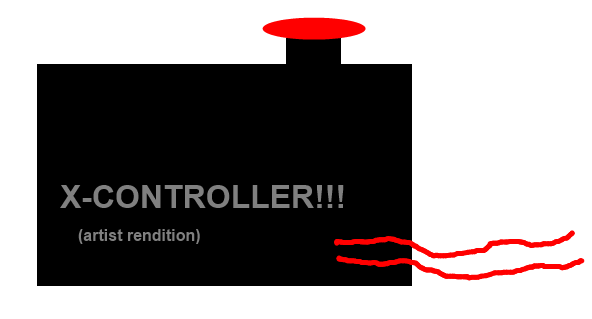 @JarnoOoink we are still trying to get our final costs for the X-Controller before we release any retail pricing. Any update on either pricing or availability? I want to purchase this the day it comes out. We are getting closer. The production extrusions are the long lead item. The chassis is an extrusion and there is a big heatsink inside that is an extrusion. We can't finish the PCBs without the heatsink. The pricing is still being decided. Describe the system you plan to use it on. What machine, motor sizes and spindle are you using. I too am watching this thread with "baited breath" and am seriously considering getting the X-Controller when it is announced as available to buy. I just have a stock X-Carve 1000mm with ACME rod and stock spindle, but at some point I think I'd like a .8kw VDF air cooled spindle or something similar. If the X-Controller had the capability to run the machine plus upgrades in one neat package, then it looks very appealing to me. I'm hoping there will be an email notification sign-up for this, much like when the new Dewalt mount went on sale? We will do that. I'll post a message here when we are done. It might happen before the end of the day if we can get by with amateur photography. The page is now live. You can signup for notification. It is notification only, not a place in line or anything like that. This has about 3-4 times more motor power than entry-level controllers like the gShield. Could you give a little more information as to how this was determined? Four amps per phase is not 3 to 4 times 2.5 amps per phase. P = V * I with both running at 24 volts I don't see how you came up with this number. Also, if you have four motors with 4 amps per phase that would be 8 phases needing 32 amps. A 400 watt power supply can only deliver 16 amps at 24 volts. The numbers don't seem to add up. Well, all the respect. This is brand new products over X-Carve build. I wish Inventables take a lesson from mistakes. Instead of using on hand inventory like 400 watt Power supply, I wish to see 800 watt power supply on it. Instead of keeping 3 axis control, I wish to see option for 4th axis stepper control, USB 3.0 support, serial connection in case someone stock with Mach control. I don't think any of these cost more than $100 add on. At least this forum doesn't overflow with another type of problems. If we're speaking about upgrade, anyone willing to do it must be ready to spent some money for GOOD futures. Thanks for the dual Y axis control. It's a big deal. That must be on X-Carve at the beginning. Yes probably difficult to keep both Y controller at the same level of current. I hope X-Controller have regulator for control outputs then people buy this controller don't even have to play with those so called large dial pods. Just my opinion. Personally, I would be the 1000th customer for it. Patients pays for itself. @LarryM That is probably more anecdotal than math based. The gShield cannot run at full power or it will overheat even with active cooling. The X-Controller stepper chips are actually rated for higher than 4 amps. You can safely turn the X-Controller pots up to full power without worrying at all about the temperature. The idle current feature also allows you to turn up the current a little higher than the motor current rating. The motors will run cool, but have have the extra torque when moving. Microstepping motors rarely pull the full power. The original Shapeoko power supply for the gShield was only 90 watts. I have never felt one get hot. Try putting a current meter on the DC power. It is lower than you would ever calculate. We have many units running right now and we love them. The rapids are faster and the motors never loose steps. We will be sending a lot out in the field for testing over the next few weeks to power users who will beat the heck out them. Stay tuned to see what they say.